Reps issue bench warrant on Magu – Royal Times of Nigeria. 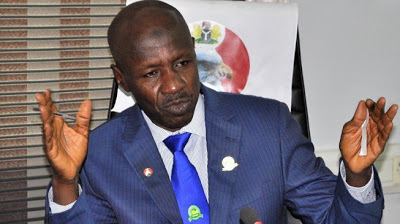 The House of Representatives Committee on Public Petitions has issued an arrest warrant against the Acting Chairman of the Economic and Financial Crimes Commission (EFCC), Ibrahim Magu, for refusing to appear before it. The Committee had at different times invited Mr. Magu to appear before it on a petition by former first lady, Patience Jonathan. It said that Mr. Magu should be arrested and presented before it on November 7, after his failure to appear before the panel despite several invitations.